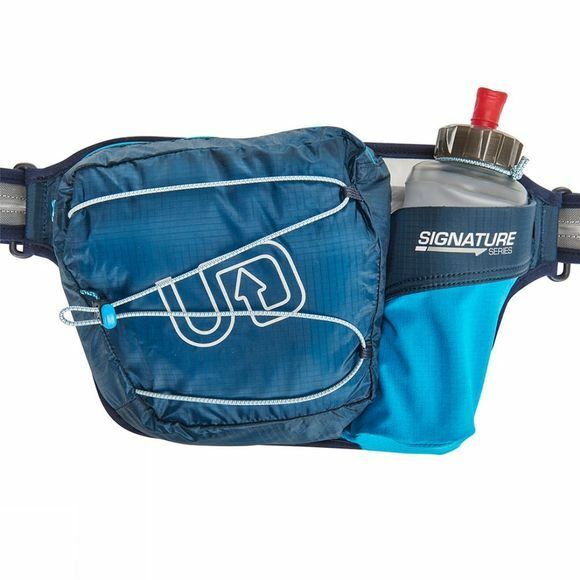 The Mountain Belt carries a large capacity FlexForm Bottle to bring enough hydration to big adventures in a small, bounce-free format. A large storage pocket can accommodate equipment needed for mountain trips: a camera, a personal locating beacon, light rain gear and, of course, fuel and phone. 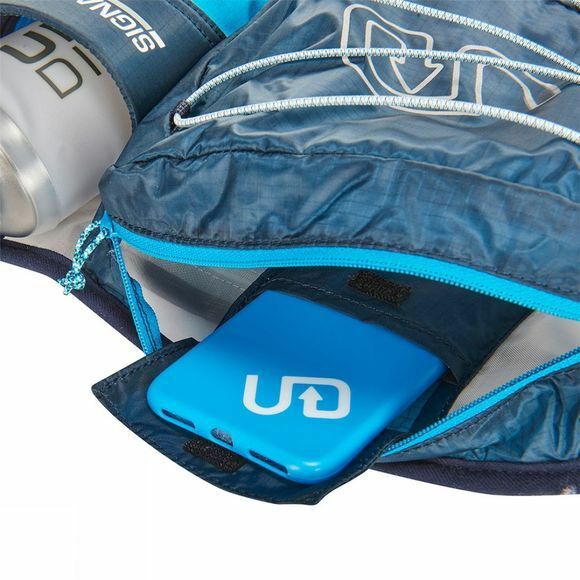 Accepts the Ultimate Direction Adventure Pocket for additional storage.